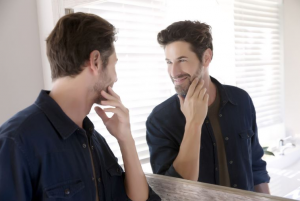 Ventura, California resident Rocio Moustafa explores common symptoms among those with narcissistic personality disorder. VENTURA, CALIFORNIA, UNITED STATES, February 15, 2019 /EINPresswire.com/ -- A personality disorder characterized by an excessive need for admiration, exaggerated feelings of self-importance, and a lack of empathy for others, narcissistic personality disorder is commonly associated with a long-term pattern of abnormal and undesirable behaviors. That's according to Rocio Moustafa, an expert on the various maladaptations related to mood, behaviour, cognition, and perception based in Ventura, California, as she explores a number of common symptoms typically seen in those afflicted with the condition. "Narcissism, and thus narcissistic personality disorder, often presents with many symptoms, chief among which, usually, are various issues surrounding a lack of self-control," explains Moustafa. Self-control is defined as the ability to regulate one's thoughts and emotions in the face of temptation and other impulses. As an executive function and an aspect of inhibitory control, it is, therefore, a cognitive process which is vital for regulating behavior, according to Moustafa. "As such, a lack of self-control can, as a result, lead to numerous highly undesirable behaviors," she adds. "Other symptoms of narcissism include an inability to handle any and all criticism," the expert continues, "plus a disregard for others' feelings and an overriding sense of entitlement." Moustafa, who's currently based in Ventura, California, around 80 miles northwest of Los Angeles, reveals that those most commonly affected by narcissistic personality disorder are typically aged between 19 and 40 years old. The condition is widely considered rare, with fewer than 200,000 cases identified in the U.S. per year according to Mayo Clinic, a nonprofit academic medical center based in Rochester, Minnesota. "Another symptom of narcissistic personality disorder deals with control of others," adds Moustafa. Patients afflicted with this disorder, she says, will often attempt to control their partner using projective identification, placing guilt on them in order to achieve what they perceive as 'power' over the individual. "While narcissistic personality disorder is most common among those aged between 19 and 40, age is not strictly a limiting factor," Moustafa continues, "with the disorder often proving particularly debilitating in relationships, with the afflicted party often trying to drain the energy of their partner who, quite often, finds himself or herself becoming a victim." Currently, narcissistic personality disorder must be formally diagnosed by a qualified psychiatrist. While treatment is touted to help, the condition cannot be fully cured, according to the Ventura-based expert. Narcissistic personality disorder is a chronic or lifelong condition, Moustafa reveals. "While the root cause of narcissistic personality disorder remains unknown, it likely involves a combination of environmental and genetic factors," she adds, wrapping up, "with the most effective treatment currently available centered around so-called talk therapy." Rocio Moustafa is based in Ventura, a California coastal city northwest of Los Angeles. Further to narcissistic personality disorder, Moustafa's other areas of expertise include bipolar disorder, manic depressive disorder, insomnia, and other sleep disorders.